It may sound like a country line dance but it’s the reality of starting something from scratch. For every yes we get , we also get 4 no’s. For every step forward we seem to have to take 2 steps back. We move forward in church support and then realize we don’t have licensing determined because we don’t have the house yet. Some people don’t think they can invest in The Sparrow’s Nest because frankly, we don’t have The Nest yet. We apply for our maternity home tax credit but don’t have our letter of standing with Children’s Services because we don’t have the house yet for The Sparrow’s Nest. Do you see the common thread? We don’t have the house yet. I don’t want you to focus on the don’t part. I want you to focus on the yet part. I feel very strongly that this piece of the puzzle in within our grasp.It is 1 of 2 main goals our Board of Directors have adopted in 2012. Obtaining The Nest may be 2 weeks away or maybe only 3 months away. But I wanted to give you an opportunity to boldly pray that The Nest is secured by a very specific date. This date could mean an actual house, it could mean land, it could mean plans to build with an end date. Whatever it means, we’re turning this over to God. Just like Nehemiah (Nehemiah 4), we’re not getting off the wall to the negativity of what we don’t have. We’re celebrating what God has already given us. (Nehemiah 12). Do us a favor, share this date with your church, your small group, your Sunday School class, your bible study and then let’s stand back and watch God move a mountain. 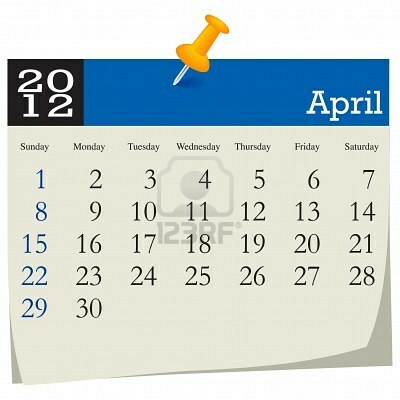 Join us in writing a big ole’ red circle around April 29, 2012. This entry was posted in Uncategorized and tagged abortion alternative, babies, dreams, Home, house, Prayer, pregnant teens, The Sparrow's Nest Maternity Home, trusting God. Bookmark the permalink. There’s this nightmare that plays over and over in my head. We have to have a parking lot? Really? Second Round of Grow St. Louis! We made it!